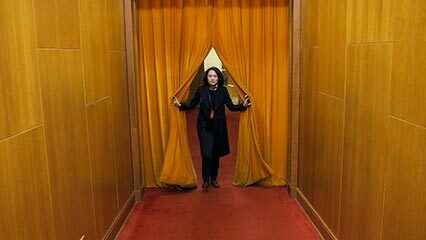 The changes wrought by the reform era have opened up new channels for Chinese women to participate in politics. Song Shaopeng is an associate professor of gender and politics at Renmin University of China. Her research includes the history of feminist theory and modern Chinese women’s movements led by the Communist Party. This is the second in a five-part series about women in Chinese politics. You can find part one here. Before China enacted the reform and opening-up policy in 1978, the main channel through which women obtained political positions — aside from harnessing their reputations as revolutionary soldiers before 1949 — was by becoming model workers, or exemplary employees who exhibited the idealized traits of the socialist proletariat. In Mao’s China, embracing the raw power of hard work was seen as the noblest form of politics. During the 1950s and ’60s, the Chinese government brought the modes of production under collective control. At this time, an unprecedented number of women went to work in the communes, and many specialized women’s brigades emerged in all kinds of industries. Many female model workers also emerged, and grassroots production teams appointed women as captains. In 1956, the government introduced a charter dictating that each commune should have at least one female head or vice head. Across the country, 500,000 women took up such positions. Indeed, Shen Jilan, a current National People’s Congress deputy, has held office for 12 consecutive terms since first serving as vice president of Xigou Jinxing Cooperative in Pingshun, in northern China’s Shanxi province, back in 1954. Because of the significant contributions women made to production, the government brought forward plans to develop female cadres. 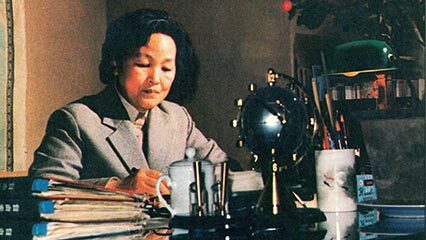 In 1956, as the Communist Party of China (CPC) announced a period of “all-round socialist construction” designed to take a pragmatic approach to economic growth, the head of the All-China Women’s Federation, Cai Chang, highlighted the importance of promoting high-caliber female cadres. By 1957, 80 percent of urban political positions at the grassroots level were held by women. Women recognized as model workers who successfully entered top-tier politics in pre-reform China included Wu Guixian, Li Suwen, and Hao Jianxiu. In 1975, Wu — a former model worker from the textile industry — was elected China’s first female vice premier. Li, a food worker from the northeastern city of Shenyang, was elected vice chair of the National People's Congress Standing Committee the same year. Hao, meanwhile, saw her working style enshrined in the “Hao Work Code” released in the 1950s, before serving in the Women’s Federation, the labor union, and then the government. She was chosen as the vice chair of the Chinese People's Political Consultative Conference in 2003. The demand for women’s labor in the collective production system formed the basis of the large-scale employment of female cadres. The historical significance of these figures lies in the fact that they paved the way for laboring women to enter the political field on a massive scale. In comparison with life before the reforms, however, women who have gone into politics since 1978 have not had it so easy. In the early 1980s, the selection criteria for cadres were narrowed down to four requirements: revolutionary zeal, youthfulness, knowledge, and specialization. Educated cadres began to gradually replace workers and peasants who had held positions previously. At the same time, many women were weeded out of the government due to their lower levels of education and perceived lack of well-roundedness. At the 13th CPC National Congress of 1987, no female cadres were nominated for the Political Bureau of the Central Committee. As the collectivized economy collapsed, many female cadres suddenly saw their labor rendered obsolete. In 1957, about 70 to 80 percent of the country’s agricultural cooperatives were presided over by women. In 2006, only 1 percent of the country’s 600,000 village directors were women. Strong educational backgrounds and global mindsets make today’s feminists more able to forge connections with the world. During this period of social change, the channels through which women participated in politics underwent fundamental shifts. 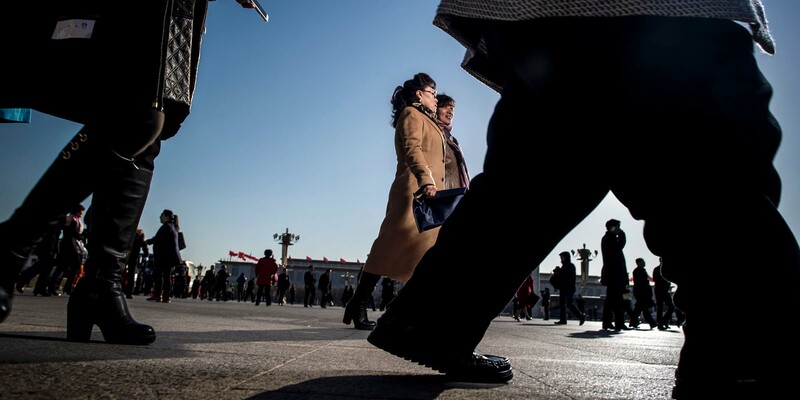 The disintegration of the collective economy meant that China’s working women lost group representation as essential components of the political system. As working female cadres — who previously stood as essential leaders of grassroots production brigades — saw themselves rendered obsolete, the previous gateway to promotion, through which women who were deemed model workers garnered political recognition, slammed shut. What replaced it were the individual struggles of elite women looking to enter politics on their own terms. The prerequisites for women to enter politics no longer included how they performed as laborers, but instead considered how high their educational levels were. From 1994 onward, the main entry channel into the political system has been the civil service exams, which are only open to college-educated women. This has made politics inaccessible to the majority of women and transformed it into the stomping ground of those with greater financial means. In the case of Shen Jilan, these new requirements have made her one of the most controversial politicians in China. Today, she is frequently criticized for her low level of education, despite having over 50 years of experience in politics. In addition, her record of not having ever voted against the prevailing attitude of the party makes people question her ability to think freely. Supporters, meanwhile, claim that she has helped push through equal pay for women in her brigade and has provided support to China’s rural farmers. Shen’s changing personal background has also come to be seen as representative of many rural people’s trajectories. Whereas her political identity was previously based around being a strong working woman, after 1990, she was seen as a leader of the more affluent rural workers whose circumstances had improved with the reforms. After the decline of women’s political participation throughout the 1980s, the All-China Women’s Federation pushed the CPC to issue a series of orders to cultivate female cadres, and official documents once again required quotas for female cadres in both party and government leadership positions. Policies were put in place throughout the 1990s to promote the idea that women should have appropriate representation in politics. According to a 2015 government white paper, the proportion of women entering the political system is on the rise. However, even with the quota system in place, the overall proportion of female political staff is low. This is particularly evident for women in higher positions, where they are often marginalized into departments perceived as softer, such as education and health. After the 1990s, the market-orientated reform of the relationship between state and society saw the emergence of a new form of women’s participation in politics. With the support of the 1995 World Conference on Women, the support of nongovernmental organizations, and the introduction of funds from overseas foundations, a new women's movement emerged within the Chinese political system. Later, these feminists created new NGOs outside the system as well. The Heyang Project — a grassroots initiative named after the county in northwestern China’s Shaanxi province where it was formulated — represents a unique format for women’s political participation in China. The project successfully increased the number of female village heads in Heyang by calling for a quota system policy, providing training for promising female candidates, and creating a social environment to support women’s political participation. In 2005, the success of the Heyang Project convinced the Shaanxi provincial government to roll it out across the province. Gao Xiaoxian, who is at the crux of the Heyang Project, described to me how her generation was sent down to the countryside during the Cultural Revolution. The experience of this group not only enabled urban women to establish deep connections with rural villages, but also helped them forge a collective identity with rural women that reached across social classes. 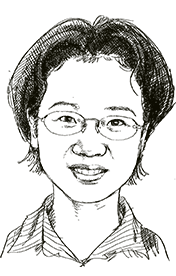 A key characteristic of that period was the heroic spirit of women — a self-sufficient entrepreneurialism combined with the idealism to change society for the better — which led them to dedicate themselves to causes sponsored by NGOs in later years. Moving into the 21st century, as the curtain gradually falls on the group of women sent to the countryside during the Cultural Revolution and the unique historical resources of that time gradually dry up, the split between the state and society has widened. The “new feminists” who have grown up in the market economy effect political change by drawing on social media’s staggering capacity to spread information, as well as its ability to rapidly alter China’s political landscape. New feminists’ political participation carries the distinctive traits of pressure politics. They do not have the resources within the political system of the previous generation, and they exist under different conditions and with different demands from their past counterparts. Technology has endowed new feminists with a capacity for greater political participation and vocalization, while the attention-grabbing nature of viral social media projects satisfies the demands of the marketized media. This has given them the ability to more assertively influence the nation’s political agenda. Strong educational backgrounds and global mindsets make today’s feminists better able to forge connections with the surrounding world. The public controversy over Shen Jilan and the generational differences in political participation between the feminists of the late 1990s and today reveal deeper structural changes in the relationship between the Chinese state and society. The political demands of contemporary Chinese people are becoming more diverse, and so are the means through which women engage in politics. Participation from within the system is still the mainstream form of this engagement, and the state recognizes that there is still dynamism and elasticity built into the political framework, allowing the continued incorporation of emerging social groups. Yet alternative forms of cooperation — like the Heyang model — still exist outside the system, and these methods will continue to influence women’s political engagement in the future.